Beautiful and unique, Michael! Congrats on your sale! Love this unique form of art! Congratulations!! 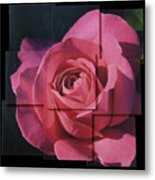 Pink Rose Photo Sculpture - My wife and I are constantly in search of perfect roses – she to plant and I to photograph. I spotted this one at a garden center while shopping for annuals. We purchased the rose bush and brought it home where I immediately captured the image. 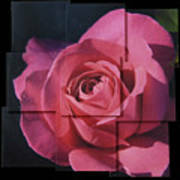 This image is printed on canvas in nine overlapping squares each measuring 12”x12”. The individual images are gallery wrapped. 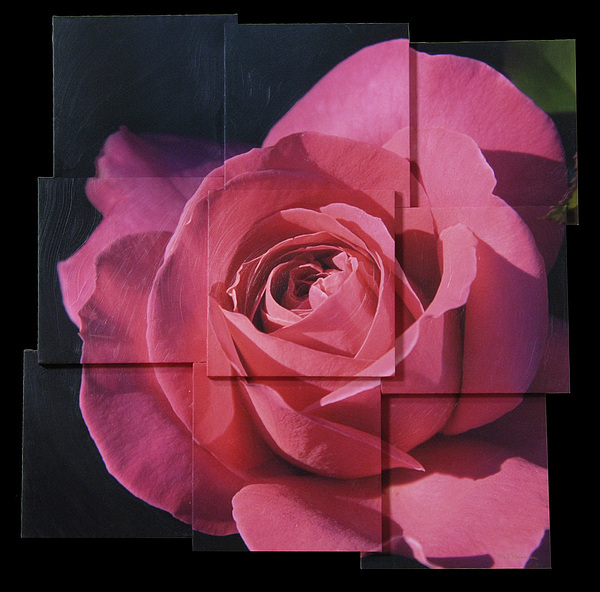 This approximately 3’x3’ photo wall sculpture was created by combining those nine images. Finally, I painted it with clear acrylic to add visible brush strokes. Click on the image to get a closer look. This image as well as most others can be custom sized to your wall space. 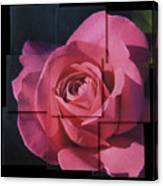 This image was on display at the Naperville Art League, Naperville, Illinois.